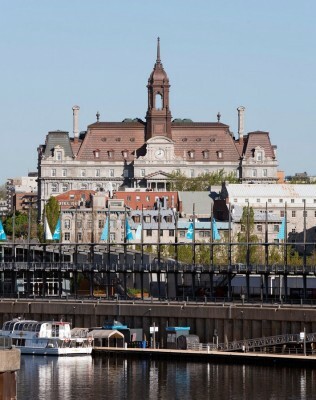 A national historic site, Montreal City Hall was one of the first monumental single-purpose city halls in Canada. 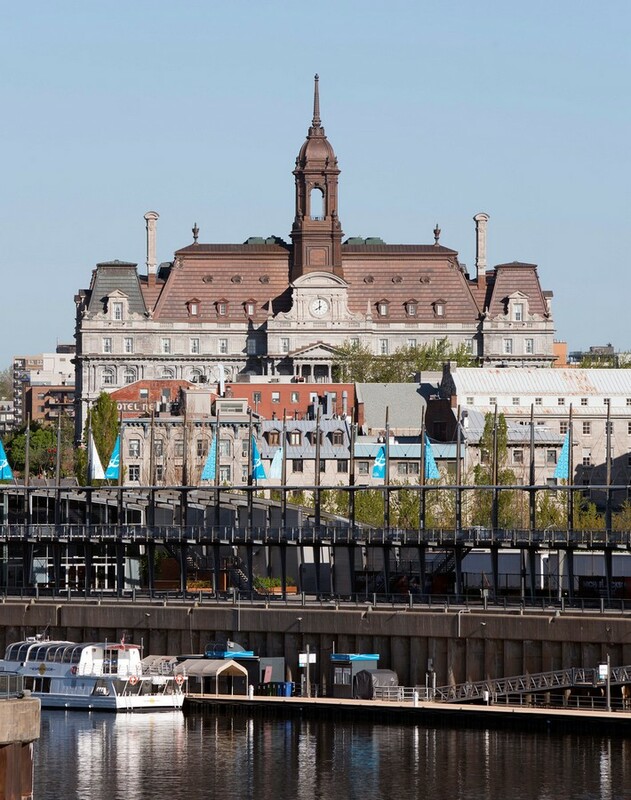 Built between 1872 and 1878 after plans prepared by Hutchison & Perrault, the building was severely damaged by fire in 1922, leaving only its outer walls and destroying many of the city’s historic records. 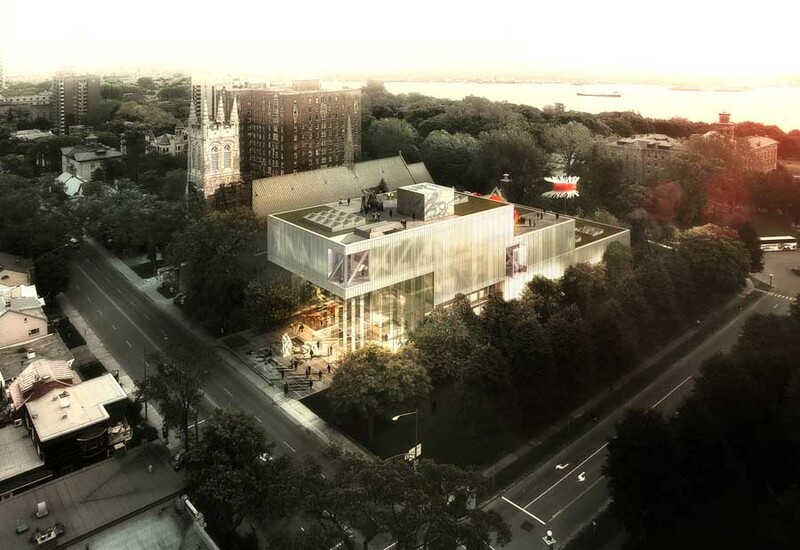 Commissioned to oversee reconstruction, the architect Louis Parent designed an entirely new building with a self-supporting steel structure erected inside the shell of the ruins. Inspired by the city hall of the French city of Tours, Parent remodelled the mansard roof with a copper finish instead of the original slate tiles and completely restored the original limestone facades. With its dense and abundant use of ornamentation, Montreal City Hall is one of Canada’s finest examples of the Second Empire style. The mansard roof was stripped to its wooden deck and a new copper roof was installed using the same traditional materials, techniques and assemblies as the 1922 roof. 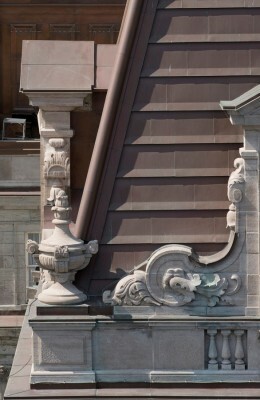 Vegetal ornamentation in moulded copper that decorated the historic roof was recreated using plaster casts taken from original elements. The central campanile, an ornate thirty foot tower in moulded and sheet copper, was rebuilt in a workshop from the original architectural drawings and then lifted into place by a crane. Restoration of the limestone masonry was complicated by the effects of the 1922 fire. The original limestone walls survived the fire but calcination rendered them brittle and difficult to restore.